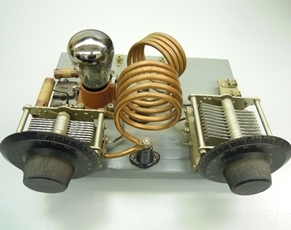 The VI Network connects CVRS members living on Vancouver Island, BC., and provides a way for those outside the area to contact vintage radio enthusiasts in the region. The network extends from Victoria in the south to Cape Scott in the north. All CVRS members residing on the Island are invited to be a part. If you already belong to the CVRS, you need only get in touch to be added to the network. If you are not currently a member, we can help you obtain membership in the national organization. Our desire is to provide network members with the same opportunities to buy/sell, problem-solve, learn about the restoration and preservation of vintage radio, and increase their enjoyment of the pursuit available to those who belong to local chapters. VI Network members who are signed in can find contact information for other members by clicking on this link to the Vancouver Island Network Member Directory.